Do your little ones need practice with sentence structure? 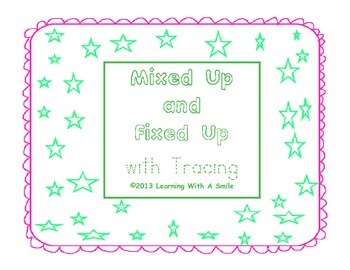 Then this cute little activity packet may be the answer. 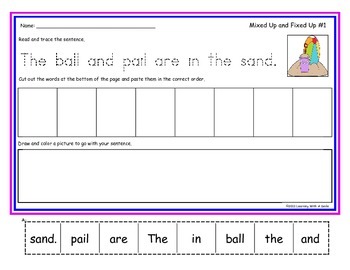 In this cut and paste packet, the students will read and trace the sentence, cut out the words at the bottom of the page, unscramble the words by putting them in the correct order to form the sentence, and paste them in the boxes provided. Then the students will draw a picture to go with the sentence. 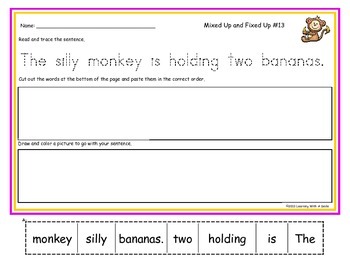 This document includes 25 different sentences for your kiddos to enjoy. 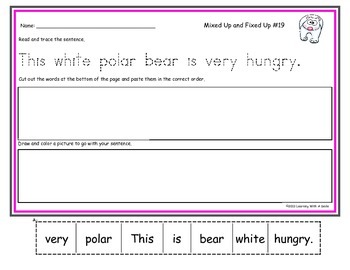 Each activity page will help your young learners with reading, handwriting, grammar, fine motor skills, and more! I love to use these activity pages while I am doing individual assessments because students are able to work independently or in small groups with fewer interruptions.